Stewart Mott House, Washington, D.C., September 14, 2007. I like to begin my talks with a mantra. It goes like this. 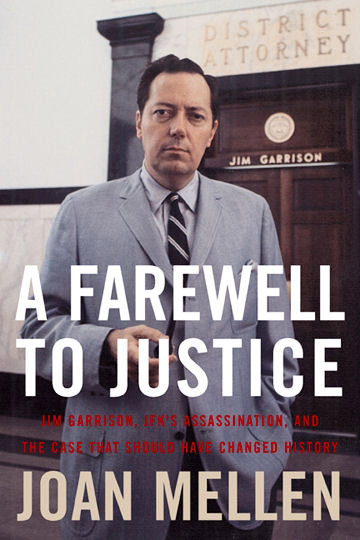 Jim Garrison, district attorney of Orleans Parish, whose investigation into the Kennedy assassination is the subject of my book, “A Farewell To Justice,” after it was all over and Clay Shaw was acquitted, was asked: how could you ever have believed that you could convict CIA operative Clay Shaw for participation in the conspiracy to kill President Kennedy in a state court in Louisiana? “I guess I thought I was living in the country I was born in,” Garrison said. This line has particular resonance today. Many of us were not born in a country where martial law was legitimized; where the President could countermand any law he wanted to with promiscuous signing statements; where there was illegal government surveillance of citizens accompanied by neither warrants nor probable cause; where what library books you took out could become known to the government; where America, having legalized the use of torture, was defined as a country inevitably pursuing preemptive foreign wars, and where, as in George Orwell’s “1984,” war was a permanent part of the country’s identity. You all know the litany. It also has become clear even to those in deepest denial that the Democrats are not about to reverse these assaults on the U.S. Constitution. In policy, in principle and in action, the Democrats are revealing themselves as offering no substantive difference from the party in power. Howard Zinn made the point that there was little difference between the two parties in “A People’s History of the United States,” first published in 1980. Zinn’s observation is more true than ever today as some people, albeit half-heartedly, continue to be tempted to place their faith in a change of administrations in the hope of reversing the damage to the democratic fabric we have witnessed in the past eight years. In our continuing attempt to understand when this assault on the Constitution began in earnest, so that in the administration of George W. Bush it accelerated at so astonishing a pace, I would like first to raise the question of whether it is in to fact true that with Bush and Cheney we have seen an inflation of the power of the Executive. Or has the power of the president in fact shrunk so drastically that it is entirely inappropriate to blame Bush for the war, or for the assault on the Constitution? Let me suggest that it is the organ grinder with whom we have to be concerned, rather than the monkey. Sometimes there is a historical moment where a society suffers a dramatic reversal in political direction. I would place that moment at the assassination of President Kennedy. At that instant, the Bushes and the Cheneys, serving so diligently the Bechtels and Halliburtons and their multifarious cohort, mostly in the western part of the country, seized the political control of this country. This is why discussion of the murder of President Kennedy is as relevant today as it was in 1963 and 1964, and why there has never been nor will there ever be an honest investigation of this crime so long as that investigation is government-sponsored. That the Kennedy family, in particular Robert Kennedy, opposed any open investigation of President Kennedy’s death is one dimension of the story that has led me to the conclusion that we must not look today to the Democratic Party for redress. I spent seven years on my investigation of the Kennedy assassination. I went beyond Jim Garrison’s work to include the thousands of documents released after his death to the National Archives under the JFK Act passed by a Congress with some interest in transparency. We are not likely to see similar legislation to open the records of the 9/11 Commission. That is not speculation. Philip Zelikow, the executive director of the 9/11 Commission, admitted on NPR that he was not about to make the same mistake the Warren Commission did; he was not about to release for public and scholarly scrutiny the documents his commission collected. When Lieutenant Colonel Tony Shaffer came forward with information about the “Able Danger” unit of military intelligence, he was swiftly discredited. The “New York Times” buried his astonishing revelations in its back pages. Col. Shaffer told me when I met him at the office of his attorney, Mark Zaid, that he had lost his job. I interviewed more than a thousand people in my effort to contribute to the question of who planned the murder of President Kennedy. 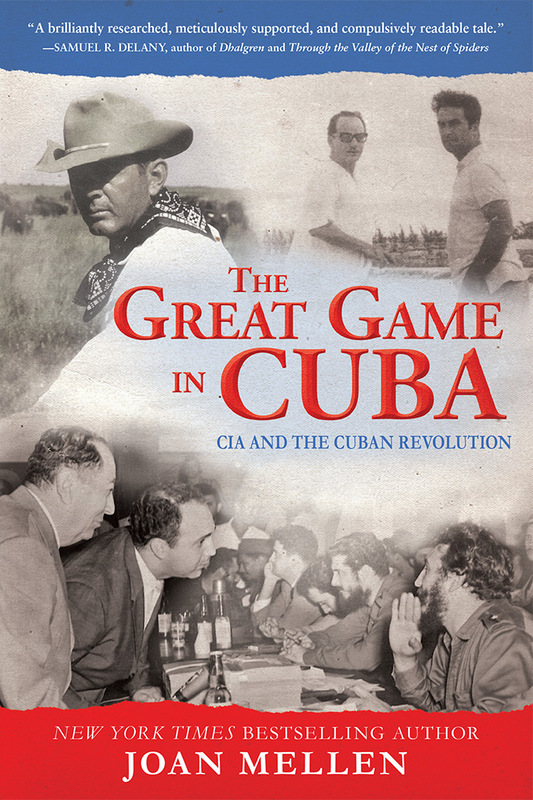 Among them was a former mercenary and soldier-of-fortune named Gerald Patrick Hemming, a shrewd former CIA asset, who remarked to me in passing, that “John F. Kennedy was the last president who thought he could take power.” In his youth, inexperience and sense of entitlement, Kennedy could not imagine that his CIA enemies would eliminate him. President Kennedy knew that the CIA’s clandestine service was undermining him at every turn. He knew that Richard Helms and his underlings were his blood enemies (you know the line, “I’ll splinter the CIA into a thousand pieces and cast them to the winds”), but he and we were astonished that the CIA and its military confreres would have so little respect for the office that represented the identity of the country that they would murder the head of state on the streets of an American city in broad daylight. At that moment the America whose Constitution could be trashed with impunity by elected officials was born. That impunity in no small measure proceeds from the willful refusal of virtually the entire mainstream press to investigate what happened to President Kennedy. As far as I know, no one gave reporters the order not to inquire into the sources and methods of the Warren Commission: it was their own decision. We should not minimize the extent to which those who want to maintain their relationship with power, whatever that power does, will censor themselves. Today’s “New York Times” has an editorial about how the University of California at Irvine rescinded its offer to Duke law professor Erwin Chemerinsky to be Dean of its law school because he was “too politically controversial.” What had Chemerinsky done? He had argued in the U.S. Supreme Court against the constitutionality of California’s “Three strikes and you’re out” law and agreed to represent Valerie Plame Wilson in her suit against the CIA. Chemerinsky had already recruited “prominent conservatives” to serve on the Irvine law school advisory board, but that wasn’t good enough. What Kennedy’s assassination meant was that no president after him would dare challenge would President Eisenhower called with such prescience the “military-industrial complex.” What Kennedy’s assassination permitted was not what seems to be the seizure of greater executive power by George W. Bush, obliterating the separation of powers, and dwarfing the authority of Congress, but that by 2007 the president would have virtually no independent power at all. And because the President enjoyed only the power to further the interests of the Halliburtons and the Bechtels, because his policies were dictated by their ambitions and needs, Congress would have no independent power either. The courts would be subverted to endorse the set of policies that the executive, a President in name only, was enacting on behalf of those who really run this country. The Republic, as Gore Vidal comments at every opportunity, had been severely wounded, and an oligarchy had been established in its place. Rudy Giuliani, who, not surprisingly, surfaced at a Texas law firm serving the needs of the Texas oligarchy, oil and gas and who knows what else, has promised that should he be elected, he would find his own versions of John Roberts and Samuel Alito, good soldiers both. Yet, as time passes, Johnson discovers that it is Vietnam that will determine how history judges him, a war in which he has no interest whatsoever, a war that he is obliged to pursue. In all those tapes, there is never any question about that; Johnson never considers deviating from the plan. The “New York Times” may demur, but both Johnson and Richard Nixon, who followed him, never lost sight of the fact that John F. Kennedy had been shot down by forces within the government. The Johnson tapes reveal an increasingly saddened, powerless figure, trapped in having been offered his heart’s desire. My belief is that the more we know about who was behind the murder of President Kennedy, the more empowered we are to combat the present assault on the Constitution. The more cogently we can analyze who profited by the death of President Kennedy, and by that I don’t mean the beleaguered Lyndon Johnson, a pawn in the hands of those who put him into office, long-time CIA assets Herman and George Brown, but not only the Browns, but D. H. Byrd, the Klebergs and others, the better able we will be to determine what is to be done. The more we uncover the similarities between the three Texas Presidents, the better equipped we are to reverse the authoritarian direction the government of this country has taken, if it isn’t already too late. In “A Farewell To Justice,” I concluded that the CIA, from the highest level, the clandestine service, then called the DD/P, implemented the murder of President Kennedy. I showed how it was a CIA operative named Clay Shaw, whose file as a CIA operative is available from the National Archives, who aided in the framing of Lee Harvey Oswald in Louisiana during the summer of 1963. 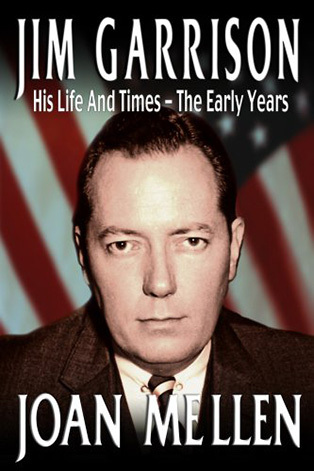 Jim Garrison surmounted considerable odds, which included the infiltration of his office by CIA operatives, and the FBI’s tapping of his telephones. His investigators were harassed, as the CIA demanded of its operatives that they lie to Garrison, distract him and dissipate his resources. To this day, Jim Garrison is the subject of press attacks, most recently in a book that, reliable reports suggest, enjoyed a million dollar advance, or close to it, from a publisher, W. W. Norton, famous for chintzy advances, and which, moreover, is owned by its employees! The obstacles to uncovering the truth about the Kennedy assassination were not only formidable, but continue, and they need to be understood by those studying the events of 9/11. Those who would work in this area of history are forced to spend a great deal of time determining which witnesses are credible, and to sift through disinformation. The mainstream media and publishers remain, in effect, embedded in the government. Scott Ritter, the former U.N. Arms Inspector, who served in U.S. Marine intelligence, had to publish his recent book with Nation books – he couldn’t have gotten much of an advance – and Frederick A. O. Schwartz, who served as chief counsel for the Church committee, published his recent book about the evisceration of the U.S. Constitution under Bush with the small left-wing New Press. Even when the polls suggest widespread citizen disaffection, newspapers and publishers refuse to sponsor inquiries into the political process. I call your attention to a survey conducted by the Economist magazine last month, August 2007, rating the Democracies. Among countries where democratic institutions are alive and well, the United States placed – seventeenth! Below Spain and Malta. Among the questions in the survey, the Economist asked whether government is free of undue influence by the military or the security services, and whether citizens are free to form political and civic organizations free of state interference and surveillance. A whole section of the questionnaire explores whether there is a free print media, freedom of expression, robust media coverage, and so forth. The U.S. did not score well. 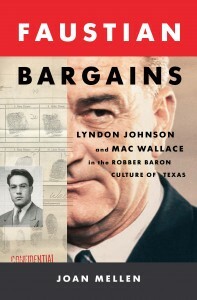 Over years, I interviewed Jim Garrison’s witnesses, and I developed new witnesses to establish that Clay Shaw, the managing director of the CIA-sponsored International Trade Mart in New Orleans, in the company of another CIA operative, an operative responsible to Robert Kennedy, named David Ferrie, took Oswald up to small towns north of Baton Rouge. The towns to which Shaw, Ferrie and Oswald traveled were named Clinton and Jackson, and their mission seems, at first, incomprehensible. What I concluded was that Oswald was a low level CIA operative, and he had been assigned to apply for a job at an insane asylum, the East Louisiana State Hospital at Jackson. Oswald believed that he was applying to work in a hospital (he did not even know it was a mental hospital before he got there) as part of his service of a plot to assassinate Fidel Castro. The CIA had something else in mind for him. That trip to Clinton and Jackson, uncovered by Jim Garrison’s investigators, established the “proof of the plot,” and that the CIA’s cover-up of the assassination of President Kennedy began before the murder itself. It is this trip to Clinton and Jackson that has driven the government’s media assets to distraction: there is voluminous evidence that it occurred: the whole town was watching because Oswald appeared in Clinton in the company of Shaw and Ferrie to register to vote, as he believed was necessary to gain employment at the hospital, on the day of a major CORE voter registration drive. You can spot who the government’s media assets are to this day because they will always take pains to assert that Oswald was never up there and that “Clinton never happened,” as one of Clay Shaw’s lawyers told me. Vincent Bugliosi also insists that Clinton never happened, and goes on to an extreme attack on me for daring to suggest that it did. Who sponsored Bugliosi’s book, and why was a 1600 page book produced at this late date to endorse the 1964 Warren Commission? To answer that question is another way to approach who rules America today. Allow me to reiterate that government investigations are never to be trusted: when in the late 1970s the House Select Committee On Assassinations, under CIA control, pretended to investigate the assassination of President Kennedy, the Louisiana investigators were ordered to interview only those witnesses in Clinton and Jackson who had ALREADY been interviewed by Garrison’s office. They were under specific instructions to talk to no one else, and, as Robert Buras told me, against his every instinct as a former New Orleans police intelligence officer, he had to abide by a list that was sent to Louisiana out of Washington, D. C.
A committee member named Patricia Orr was dispatched to Louisiana to accompany Buras to Clinton and Jackson, although she knew nothing about Louisiana, lest Buras take the law into his own hands and interview, for one, the medical director the hospital, Dr. Frank Silva, who had never been interviewed before. Dr. Silva was among the new witnesses I was fortunate enough to interview for “A Farewell To Justice.” So Dr. Silva, a responsible citizen who could never be impeached, related how he ran into Oswald at the hospital. Some of Jim Garrrison’s witnesses were members of the Ku Klux Klan. Others were leaders of the East Feliciana branch of the Congress of Racial Equality. Both of these groups could be treated with disrespect. But what would a CIA-controlled government committee do with Dr. Silva? We shouldn’t expect a co-opted committee of a co-opted government to tell us the truth, and they won’t. It has been the CIA’s mission, of course, to conceal its involvement in the murder of President Kennedy, and for the most part they have been successful. It is important to note, however, as the events of 9/11 are examined, that there is still time, that all doors are not (yet) closed. 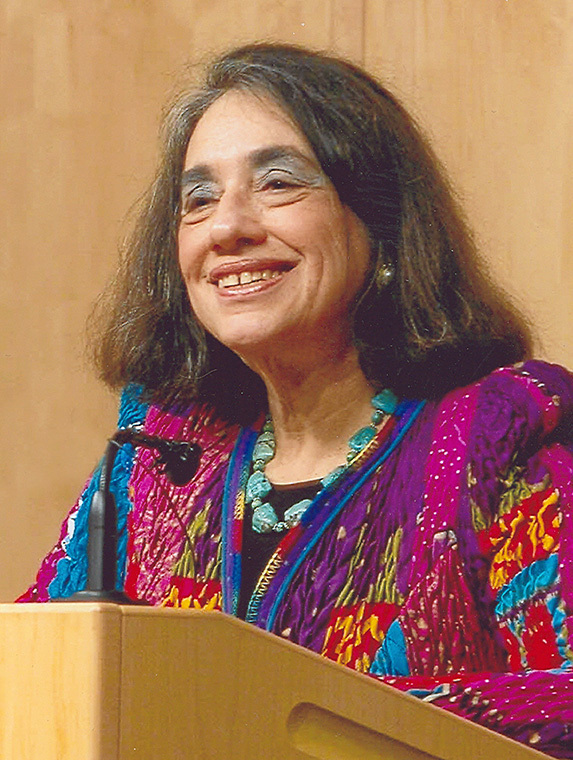 There was a virtual blackout of my book by the mainstream media, but I spoke at the National Archives, although I was followed by a speaker suddenly placed on the program to endorse the Warren Report; my lecture at the Ethical Culture Society in New York was broadcast on C-Span. That BookTV presents a constant parade of speakers from right-wing foundations does not minimize for me the courage they showed in offering me their venue. At the university where I teach, we have now to add to every syllabus of every course an “academic freedom” clause, designed to undercut dissent in the classroom. I added a sentence to mine this month, asserting that any idea is appropriate to be heard in our class – I teach creative writing – according to the rights granted all citizens by the first amendment to the U.S. Constitution. At every opportunity, particularly in the schools, we need, at the very least, to assert the existence of the Constitutional rights that are steadily being eroded. The investigation into President Kennedy’s death is ongoing. Was I correct about CIA involvement in the murder of President Kennedy in “A Farewell To Justice?” New traces, new pieces of evidence, are still emerging. It is not only the Kennedy murder that we must now understand. We have at the same time to deal with the seeming contradiction of George W. Bush’s seeming warfare with the CIA, and his appointing a Director of National Intelligence to minimize the power of that agency that President Truman, right after the Kennedy assassination, accused of running a shadow government. I would argue that in the coup accompanying the murder of President Kennedy, the CIA served ably its purpose on behalf of what has become the true shadow government. Once that coup was in place, once the oligarchy of defense contractors, allied with the Pentagon and the very “military-industrial complex” President Eisenhower abhorred, took over the direction of this country, a free-wheeling CIA became a threat that had to be contained. I am interested now not in proving that the CIA’s clandestine service accomplished the assassination, may I immodestly suggest that I’ve done that, but in exploring on whose behalf they did so. Those are the forces that today rule America. The place to look, I’ve found, is Texas, the subject of my next book. Is it an accident that since the coup of the murder of President Kennedy, we have had three Texas Presidents having previously had none at all? – General Eisenhower, born in Texas, was no Texas President. In a letter to his brother Milton, President Eisenhower warned about the threat to the Republic of forces powerful in Texas. On the other hand, Ronald Reagan in retrospect seems to have been a Texas president in all but name. I realize that there may remain, even here, listeners uncomfortable with the idea of living in a country where the CIA murdered not only a President, but an attractive one. The Vietnam and Iraq wars reveal, however, how high the stakes were, and why the liberal point of view, the perspective of the Eastern establishment represented by John F. Kennedy, stood in the way of the America of preemptive war in which we are living today. And because the Kennedy assassination leads so directly to this America, I remain interested in new information and leads, however fragmentary, so that more people will be persuaded of the by now massive evidence. Some argue that the conclusion that the CIA accomplished the assassination must be incorrect because, surely, by now we would be in possession of some deathbed confessions. An easily dispelled myth is embedded there: history has revealed that CIA loyalists remain loyal to the Agency even in death. I believe it was the “New York Times” that headlined the obituary of Richard Helms, he “died with his secrets.” Lawrence Houston, the CIA’s general counsel, who was in on the assassination and its cover-up, went quietly into the night. David Atlee Phillips, an Oswald handler, among others, wrote a roman a clef in which he portrays himself as – Oswald’s handler. On his deathbed, he admitted to his brother that he was in Dallas on November 22, 1963. I’ll share a small opening that emerged just this past week, and may encourage us with a sense that this is not so cold a case as it may first appear. In “A Farewell To Justice,” I refer to a CIA cable arriving in Mexico City on November 22, 1963. Miami is informing its Mexico City station that one “Henry J. Sloman,” an alias for longtime CIA asset named Anthony (Tony) Sforza, would be arriving in Mexico on November 22 nd . Sloman/Sforza was to meet the wife of an agent designated as AMHALF-2, and retrieve a message from an asset who may have been Fidel Castro’s sister. Sloman was ordered to contact David Atlee Phillips on the next day… Sloman certainly was the case officer for New Orleans figure Emilio Rodriguez, whose brother Oswald visited in New Orleans…Sforza, Arnesto Rodriguez, Phillips, Oswald…everyone is connected. Without parsing this further, let me add that the timing of the cable suggests not only the Kennedy assassination, but the CIA-Bobby Kennedy-Desmond Fitzgerald sponsored Cubela assassination attempt on Castro set up for November 22 nd . It reminds us that Oswald believed that he was involved in the assassination of Castro. I want to return to the issue of what is to be done, and to examine from what quarter or quarters we might hope for relief, and help in reversing the current assault on due process and on the entire U.S. Constitution. I want to return to the issue of Democrats v. Republicans in the light of what I learned in my study of the Kennedy assassination. In so doing, I hope I can also address the motives of the CIA and the Pentagon and defense contractors, and entrepreneurs with global outreach behind it, in demanding the assassination of President Kennedy. Was President Kennedy assassinated because he was on the side of peace? Were he and his brother champions of civil rights? Who were the Kennedys, the quintessential liberal Democrats of their time? The answer to this question might help us to determine what we might expect from the liberal Democrats on the political stage today. The civil rights issue may be beyond our scope this evening, and I would only urge anyone interested in that question to turn to Taylor Branch’s brilliant book, the first volume in his biographical trilogy about Dr. Martin Luther King, Jr.. It’s called “Parting The Waters” and it exposes how reluctant the Kennedys were either to embrace Dr. King or to aid the activists down in Mississippi. If I may insert a quick personal anecdote: I was too young to vote for President Kennedy, but I do remember how vehemently he promised to desegregate federally sponsored housing. It was a major campaign promise. Yet he never managed to honor that promise. Years later, I ran into Ted Sorensen at a dinner party. At dinner, I voiced my disillusionment with President Kennedy over this failure to keep what seemed like an easy promise. As soon as dinner was over, Sorensen followed me into the living room. “He was going to,” Sorensen said, quietly. We will never know. My question is will the Democratic Party save the Republic? Whether or not there is, at the moment, a viable alternative, is a corollary question. I’ve concluded that an as-yet-to-be-imagined alternative, an idea not yet a reality, may be more valuable to citizens than an uneasy alliance with those who are at every turn betraying the electorate that put them into office. I’m talking about the Democratic Congress. My purpose in inquiring into the quality of the liberalism of the Kennedys is not to blame the victims. It’s to analyze what THOSE Democrats actually believed so that we might have a more clear view of what the current crop of supposedly liberal Democrats have to offer the body politic. Too much is at stake for us to be distracted by the worship of sacred cows, as Jim Garrison termed the corrupt judges of the Orleans Parish criminal court. The judges then sued him for criminal defamation, and won in two venues, before the U.S. Supreme Court reversed them in the case now known as Garrison v. Louisiana. Garrison v. Louisiana grants citizens the freedom to criticize public officials with impunity. On the motivation of the CIA, and those whom the Agency served in the matter of the assassination of President Kennedy, let me add that President Kennedy opposed a ground war in Vietnam, because he saw, as everyone did, that such a war would bankrupt the country. He did not believe it was in the country’s interest to become saddled with an astronomical deficit, as has occurred with Iraq. Halliburton had bought Brown and Root in 1962, and stood waiting in the wings, to fill its coffers by exerting its dominance in Vietnam. They watched as Kennedy rejected the idea of the ground war, the position that cost him his life. The history of our time has clarified the meaning of President Kennedy’s fateful policy. President Kennedy’s opposition to a ground war in Vietnam finds a contemporary echo in Zbigniew Brezezinski’s February 1, 2007 testimony before the Senate Foreign Relations Committee, and in Brezezinski’s opposition to the Iraq War. That Kennedy and Brezezinski share the same concern, the same policy, helps us to understand why President Kennedy was assassinated, and what conflict still rages behind the curtains concealing how America is ruled today. Just as President Kennedy was murdered, an act of terrorism, to ensure that the policy of preemptive war proceed in earnest, so Brezezinski suggested in that testimony that there might well be a staged terrorist act, “a terrorist act in the U.S. blamed on Iran,” is how he put it, to provoke a “head-on collision between the U.S. and Iran, setting up a general conflagration in the Middle East. Brezezinski, the hard-line national security advisor of Jimmy Carter, has a different view of how America might act on the world stage from that of those in power now, but we need hardly term him the prince of peace. 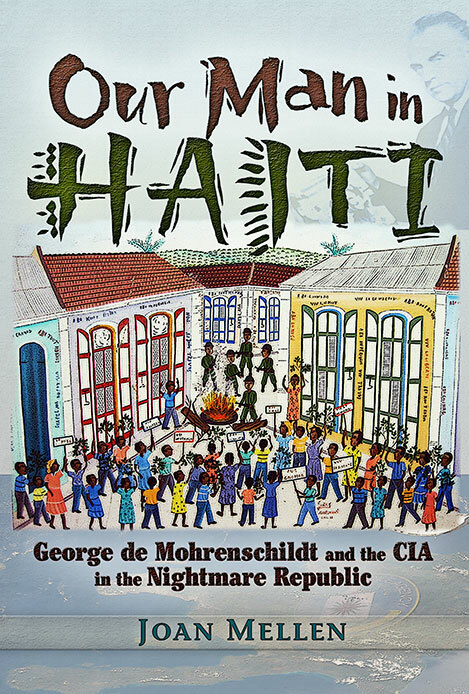 A war was waged behind the scenes in 1963, a conflict between the rapacious forces symbolized by the Bechtels and Halliburtons, and the less aggressive Eastern banking interests, who believe that it may not be in the interests in the United States to instigate global conflagration while bankrupting the country and ignoring even the elementary needs of the population. Following President Kennedy’s approach, his unlikely bedfellow Brezezinski is revisiting that conflict today. As we attempt to retrieve our democratic rights at home, we must contend with another reality regarding what we can expect from the Democrats. As shocking as the illegal National Security Agency surveillance of citizens has been, it has its precedents, and not only among Republicans and fanatics like J. Edgar Hoover. We are all familiar with the FBI’s COINTELPRO efforts, Hoover’s perfidious spying on dissenters in the sixties, and his grotesque wire taps of Dr. King. Lest we place our faith today in the matter of our personal freedom in someone donning liberal vestments, I would like to talk a bit about my research into Robert Kennedy’s opposition to any effort to investigate his brother’s murder. I think it is important that we take note of Bobby’s surprising disregard for the rule of law, his sanctioning of blackmail and bribery, and his obsessive use of illegal wire taps. Let me remind you as well that Robert Kennedy as Attorney General signed off on those illegal wire taps of Dr. King. I would never have discovered Bobby Kennedy’s endorsement of illegal surveillances were I not confronted with having to explain Bobby’s concerted effort to destroy Jim Garrison’s investigation. Lacking the records we have today, Garrison was perplexed. If it were my brother I’d want to know what happened to him, he said on television. One thing was certain. Using Garrison’s term, Bobby was out to “torpedo” his investigation. The other example of Kennedy-sanctioned illegal surveillance involves Walter Sheridan’s wire tapping of the hotel room of Hoffa and his lawyer, and the illegal paying of witnesses, as well as bribery and blackmail, in the effort to convict Jimmy Hoffa. What might rest in the dust bin of history becomes relevant when we look up and notice that the Constitutional guarantees of due process, and equality under the law, and, not least, the principle of “habeas corpus,” have been seriously undermined by the current administration without effective protest by the Democrats who might, conceivably, stop them. Do Democrats enjoy a history of standing up for the rights of citizens? If Bobby Kennedy as the chief law enforcement officer of the land, and later as a U.S. Senator, who had the moral authority of being the survivor of his martyred brother, promoted illegal wire taps, what can be expected of his party today? We can’t explore all of this tonight, so let me first direct your attention to some government records. That citizens were not up in arms about these Kennedy wire taps, and they were made public, paved the way for the government’s getting away with eviscerating the U.S. Constitution today. As the Amtrak agent told me as I bought my ticket to be here today, she amazingly heard two sermons in church, from two different pastors, in one week, with the same title, “MAKE SOME NOISE.” (The text is the 100 th psalm, I believe). Citizens did not make enough noise. The set of documents I discovered reside, of all places, at the Johnson library in Austin. They reveal a startling scenario. Bobby Kennedy made repeated visits to Courtney Evans, an assistant FBI director, at FBI headquarters to discuss FBI technology in wire tapping. Evans then sent over written information and data on wire tapping for Kennedy’s perusal. When Bobby’s wire taps became public, and there was public criticism, he arranged for Evans to write him a letter denying that the two had any discussions about wire taps, and denying that Evans had ever provided Kennedy with the written material. Bobby released this fraudulent letter to the press (Bobby was now a U.S. Senator) only for J. Edgar Hoover to release to the press two of the Evans-authored memoranda, dated 1961, that had been sent to Kennedy. Bobby never spoke to Courtney Evans again, but the damage was done. I don’t have time to tell you about Bobby and Otto Otepka, but I will just mention that the new research I’ve been doing reveals that Bobby Kennedy was aware of Lee Harvey Oswald early on in the Kennedy presidency. It appears that Bobby came to know about Oswald as Bobby involved himself, from his office at CIA headquarters at Langley, in anti-Castro sabotage operations, and assassination plots. Otto Otepka, an extremely diligent security evaluator, was sent a list of defectors to the Soviet Union, people he was authorized, as part of his job, to investigate. The name “Lee Oswald, tourist” was on that list. Robert Kennedy then organized first the removal of Otepka from his position of authority in the State Department Office of Security, and then a wire tap of his office, a sophisticated tap that recorded conversations that weren’t even on the telephone. The tapes were delivered by the Kennedy friend who had been placed to run the Office of Security to….Walter Sheridan. By now, the State Department Office of Security was manned entirely by people hand picked by Robert Kennedy, most of them from Massachusetts. One night Mr. Otepka’s safe was burgled and the Oswald file disappeared for good. In April 1963 in Dallas, a Department of Justice official telephoned the police to order them not to investigate Oswald after Oswald fired shots at retired General Edwin Walker. The damning document disappeared from the files of the Dallas Police, but General Walker talked about it to his friend, Louisiana judge John R. Rarick, and to others. Near death, General Walker left a note for the House Select Committee on Assassinations urging them to investigate this extraordinary fact. (Do only liberals tell the truth? Would that historical research were that easy!). I learned as well that Kennedy’s anti-Castro Cuban employees surveilled Oswald in New Orleans in the summer of 1963, with Bobby Kennedy telling them that since Oswald was an employee of the FBI in New Orleans, they needn’t be concerned about his loyalties. There is new evidence I only just discovered of an aide to Bobby Kennedy being in touch with people in Lafayette, Louisiana, a town near Clinton and Jackson, where Oswald, or a man calling himself “Oswald,” passed through on his way to Texas. This evidence came from the records of a Lafayette answering service. 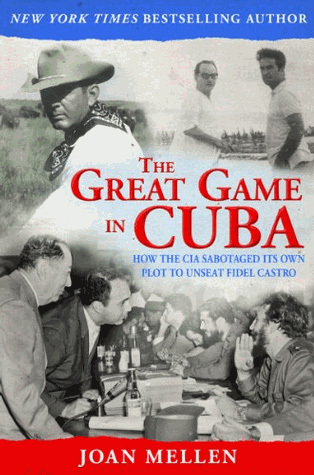 And there is more, including abundant evidence that Bobby Kennedy with General Edward Lansdale, was involved in his own plots to assassinate Castro, and that to this end he had a CIA employee named Charlie Ford search for Mafia operatives. Yes, this was the same Bobby who was out to get the Mafia, not only Hoffa, but also Carlos Marcello in New Orleans, whom Bobby had kidnapped off the streets and deposited in Guatemala, without, as Marcello complained, even a tooth brush. It has seemed to me that all these strange efforts to protect Oswald by Bobby Kennedy explain why, later, a horrified Bobby had not only to be publicly silent about his brother’s assassination, and to endorse the absurd Warren Report – he knew better – but to attempt to silence Garrison. It is apparent to me that Bobby sent Walter Sheridan to New Orleans to “spike” Garrison because he feared that Garrison was drawing close to the truth of Bobby’s knowledge of Oswald long before the assassination. This was a reality best not be made public. Hoover contributed to the effort to stop Garrison’s work by calling Garrison a “nut” so that even today the Special Agents who manned the FBI field office in New Orleans explain why the FBI did not assist Garrison, as a fellow law enforcement agency was obliged to do, by insisting that Garrison, after all, was crazy. Kennedy acolytes contributed to the slandering of Garrison with the charge, being repeated to this day, that Garrison as district attorney of Orleans Parish protected Carlos Marcello and the Mafia, which was utterly untrue. For one thing, Marcello operated out of Jefferson Parish, another jurisdiction entirely. For another, although he was district attorney, Garrison had lost all interest in crime – his office was manned by his assistants, people with no interest in the Kennedy assassination whatsoever. All Garrison cared about was that the truth emerge about what happened to President Kennedy, a man he admired without qualification. I have returned to history, and let me repeat, not because the Kennedys were the worst of our recent nightmares. Rather, I believe that to study the Democrats and their actual agendas, in the past, as now, becomes not an idle historical exercise, but an urgent necessity. What we are facing with the Bush usurpation of the rule of law, and the turning the resources of this country over to what Jim Garrison called “The War Machine,” is far more insidious than the contradictory games the Kennedys, or any other Democrats, have played or are playing. I’m suggesting that the search for truth must be accompanied by the courage to accept wherever it might lead, that we cannot afford the luxury of worshipping at the shrine of any hero. I exclude even that courageous adopted Texan, Sam Houston, a bright light in the history of that once sovereign nation, a man who as President of the Republic of Texas tried to protect the Indians and as Governor refused to sign Texas over to the Confederacy. Texas stands as the emblem for the harm that has been done to this Republic behind the personas of the two Bush quasi-Presidents. This process, this search for true transparency of government, is exhausting, more urgent than ever, and must, of course, be its own reward.